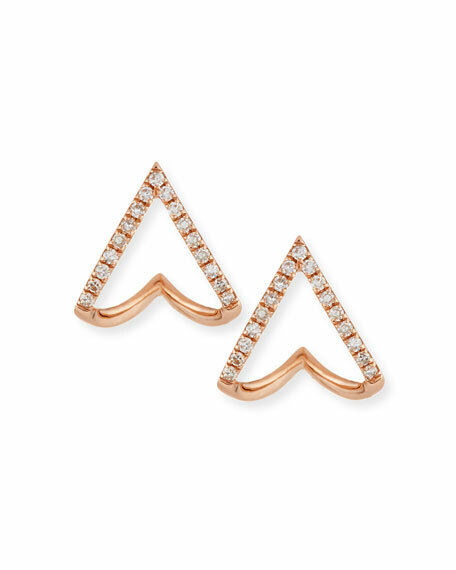 EF Collection chevron wrap stud earrings. 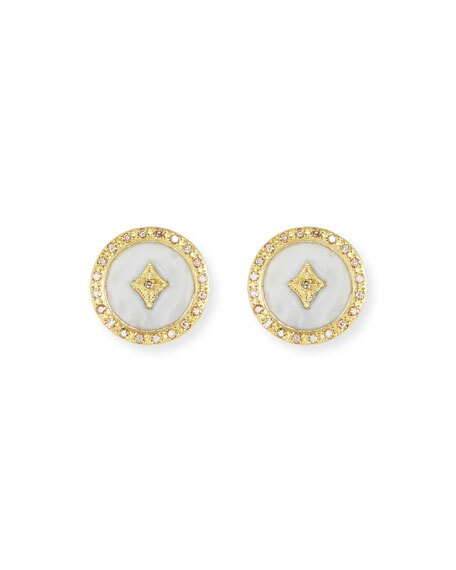 Florentine button stud earrings by Carolina Bucci. Traditional Florentine beaten finish produces permanent facets that catch the light. 18-karat white gold. Post backs for pierced ears. Approx. 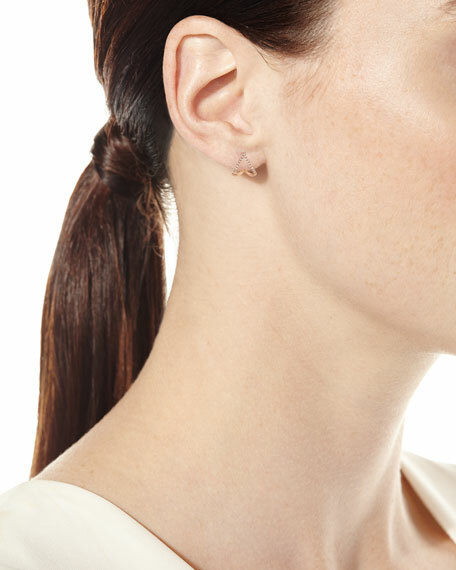 0.3"H (8mm). Made in Italy. Trumpet Lily earrings by Lele Sadoughi. 14-karat gold plating over brass stems. 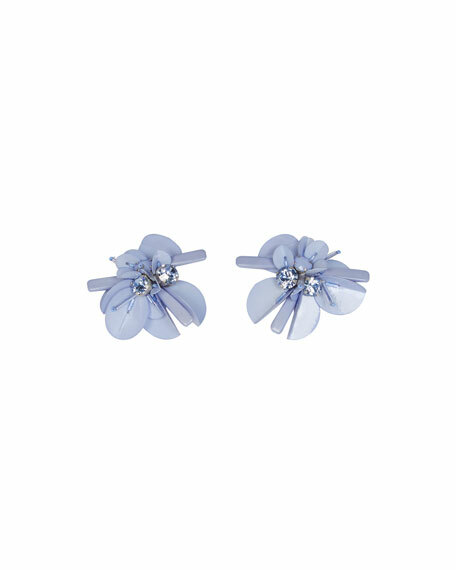 Five acetate petals form flower studs. Czech crystal cabochon details center. Surgical steel posts for pierced ears. Imported. 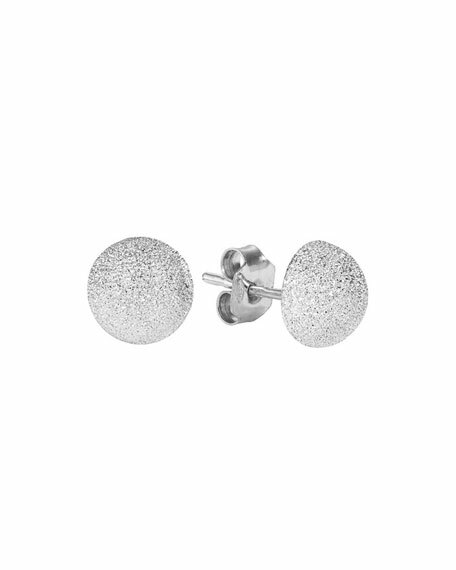 Haley stud earrings from Mignonne Gavigan. Rhodium plating or 18-karat gold plating. Silk thread and glass bead embroidery. Embroidered over goat leather back. 14-karat gold filled post backs. Approx. 1.5"L; 1.5"W. Imported.